It's the heart of spring skiing, so put your heart into it! 2016-2017 SKI CLUB & COUNCIL APPRECIATION DAYS in Stowe, VT. Lift tickets are only $46! 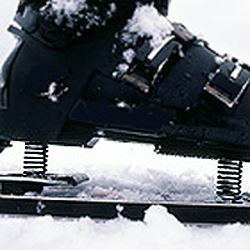 Ski down and tan up at Sugarbush, Mad River Glen or Stowe, or go snowshoeing, or cross country -- whatever you and the conditions are good for. Visit the shops in Waitsfield (our genuine Vermont village), and then relax by the fire at our warm, cozy lodge. We would love to see you there! Reservations are open Mar 21 - Apr 5. To reserve, click the "Register" button. Any question? Contact the Reservationist, Alex, at OneMoreRun@SwissSkiClub.org. He'll arrange carpools to find you a ride or riders.